There are very few things in life that give a large return on investment. Walking is one of those things. It is by far the easiest physical activity you can do, and provides your body with tremendous benefits. Walking has the potential to keep your metabolism high, keep your body fit and also help you shed some weight. If you are not utilizing this form of exercise in your routine, then you are simply missing out. 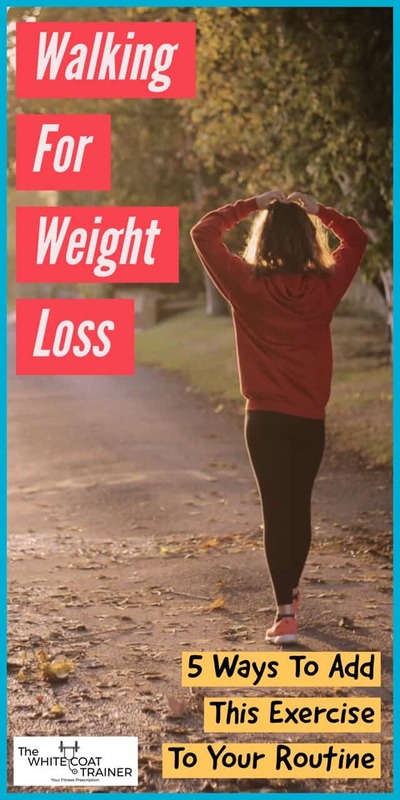 Today, we will show you how to start walking for weight loss. Welcome to the fourth installment of the WCT weight loss series. This series has been focusing on actionable strategies that you can integrate into your busy schedule to shed pounds. In Part 1, Every Diet Plan To Lose Weight Must Follow This 1 Rule we discuss the most important dietary strategy everyone needs to use in order to lose weight. In Part 2, The 3 Best Exercises To Lose Weight Fast [And Build Muscle Too] we cover the most effective ways that you can use exercise to shed some fat. In Part 3, The Best Cardio Workout For Weight Loss [The 16 Minute Workout] we discuss how to use cardio to lose weight. And no, it does not involve spending long, countless, boring hours on the treadmill or elliptical. Movement is currently a hot topic in the fitness industry and everyone seems to understand that the more we move, the healthier we will be. Movement is part of our makeup. It’s why our musculoskeletal system is so intricate and has so many different components. All of our muscles, tendons, ligaments, and joints are arranged in very precise configurations. When working in unison, the specific arrangement of our musculoskeletal system allows us to sit, stand, squat, reach, hinge, push, pull, and most importantly – walk. You can argue whether or not we were designed to lift dumbbells and barbells, but with walking- there is no debate. We are supposed to walk, and we are supposed to do it often. Unfortunately, you probably don’t walk enough. Why Aren’t We Walking More? We live in a society where walking has become unnecessary. Cities and modern civilizations have provided us with the ability to communicate and travel long distances without having to move very much. But, we didn’t always have computers, phones, automobiles, planes and delivery services. New technology has provided us with amazing innovations, but at the expense of our natural ways of living. There is hardly any incentive to walk anymore. This reminds me of the scene from the Pixar movie Wall-E. Where human technology was so advanced, that no one ever stood up from their floating workstation. If we aren’t careful, this scenario might become a reality in our future. Walking is the most underrated form of exercise on the planet. Everyone needs to do it more often, including you. Walking is the most basic and beneficial exercise that you can do. It doesn’t require any equipment. It won’t cost you a significant amount of time to do it. Walking is considered the most basic form of resistance exercise. Your body has to overcome gravity in order to keep you moving forward. As a result, the muscles and joints of your lower body get stronger as it has to propel your own bodyweight forward with each step that you take. That is why walking is one of the first line treatment options for individuals suffering from osteoporosis. Your lower body musculature has to constantly contract and relax with every step you take. This helps to push blood from your lower body back to your heart more efficiently. In addition, walking helps improve the circulation of your lymphatic system, which helps clean up metabolic waste products from your body. The more inactive you are, the more stagnant your blood and lymph will be. Studies have shown that going for a short walk after a meal can help clear glucose from your bloodstream and aid in digestion. This is one strategy many individuals have used to help them lose weight. Walking is a form of exercise. As such, it will strengthen your core, your glutes and several muscles of the thigh and lower leg. This increase in activity will increase your energy usage and thus your basal metabolic rate. We are beating this point several times. Glucose preferentially goes to your muscles whenever they are being used. The more you walk, the more you are exercising and utilizing resources that won’t be used for fat storage. In essence you are doing insulin’s job by walking more. Small studies have shown that walking can be associated with a decrease in blood pressure and an improvement in heart health. These benefits are particularly helpful in obese individuals. It’s not hard to see that all of the benefits above can automatically help your body lose weight. The muscles of your legs, your core, and your spine get activated and need a constant supply of oxygen and nutrients. Your lungs work harder to keep bringing the oxygen to your body when you’re in motion. With all of these benefits, it is mind-boggling that people don’t walk more often. Every time you walk, you are signaling to your body that it needs to pool energy resources together to keep itself going. You may be thinking that cardio is a much better way to derive these benefits. gives all of these great benefits and more. Unlike cardio, walking is a very low-intensity, low impact exercise that anyone can do. You can match the pace of your walk to your level of fitness. Not everyone should be doing that kind of cardio, but everyone should be walking, every single day, regardless of whether or not you exercise on a regular basis. When you walk, you are always exercising! Not just when you are at the gym. Keeping your body in motion will keep your energy expenditure high, and your body weight low. Walking for Weight Loss Plan- How Much Should I Walk? The average American takes 5000 steps a day. There has been clear and consistent data to support that walking more can provide significant health benefits. 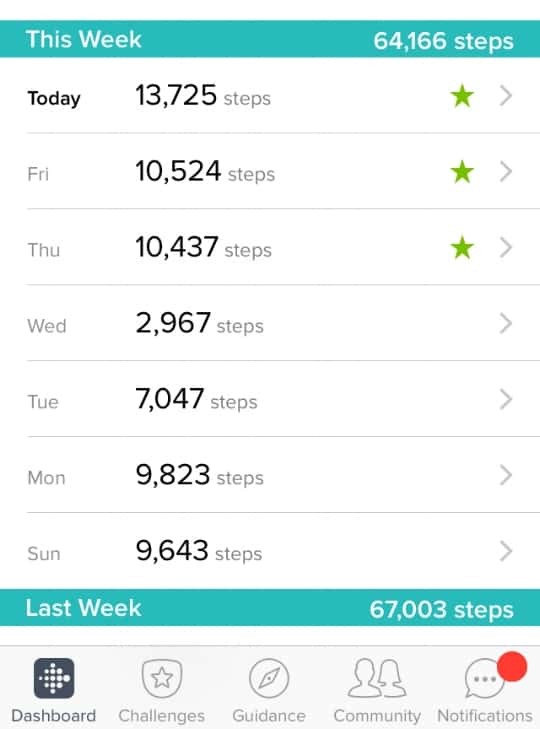 10,000 steps a day is a good goal to aim for. If you can do more, then do more. If you are no where near this number do not worry. The most important thing is to work up to your goal slowly. If you normally walk 2000 steps a day. Increase it to 2500 for one week. The following week try and get 3000 and so on. I cannot stress the importance of starting conservatively. This way, your body can get used to the new volume of work without taking a significant shock to the system. Increase the amount of walking you do on a weekly basis, kind of like the principle of progressive overload which we discuss in detail in 3 Essential Principles of Exercise Everyone Ought to Know Before Working Out. We have already written a post on the ill effects of prolonged sitting and how to take 10,000 steps a day in your normal day to day life. You can find it at Combat Your Sedentary Lifestyle Using This Simple Strategy. Walking more can be added to your routine no matter how busy you are. You can increase the amount of walking that you do when you are on your way to work, the amount of walking you do while you are at work and the amount of walking you do when coming home from work! In addition, you could even integrate walking into your fitness training to help you lose weight. One last strategy you can implement into your life is a walk in the early hours of the morning. There are numerous benefits of a morning walk. All you need is 10-15 minutes. Its a small investment you can make that’ll pay dividends for a lifetime. While you’re at it, take 5 minutes in the morning to prepare a high quality breakfast too: 5 Easy Breakfast Ideas for Busy Mornings. Walking is by far the most underrated exercise of all time. You don’t even need equipment to do it. If you could only do one type of exercise, it would be walking. Never ever underestimate the power of movement. The only useful thing we should take from John Cisna (the guy who promotes a McDonald’s-only diet) is that we should all walk more. With that said, do not forget that losing weight requires a holistic approach and it is important to use many different strategies to maximize your chance of success. You must use all of the strategies that we have outlined in the last 3 posts. 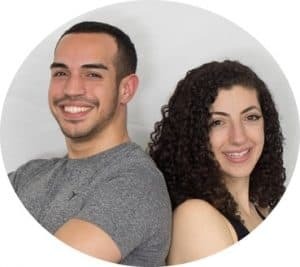 These include simple dietary strategies for weight loss, better ways of exercising for weight loss, better ways of implementing cardio for weight loss, and now, one more way to hack your body to use higher rates of energy. What do you think of walking? Will you incorporate this underrated exercise into your routine? Be sure to check out our final installment of the weight loss series: Are 3 Meals A Day Optimal For Weight Loss? where we go over meal frequency and the unique benefits of eating more often.